Blurb: An activist attorney is killed in a cute little L.A. trolley called Angels Flight, far from Harry Bosch’s Hollywood turf. But the case is so explosive – and the dead man’s enemies inside the LAPD are so numerous – that it falls to Harry to solve it. Now the streets are superheating. Harry’s year-old Vegas marriage is unraveling. And the hunt for a killer is leading Harry to another high-profile LA murder case, one where every cop had a motive. The question is, did any have the guts? Review: I am very slowly making my way through the Harry Bosch series. And so far I’m quite enjoying myself. This particular installment was very good in my opinion. A lot of things are happening in Harry’s life and to Harry in this book. And I think it will be interesting to see where Mr. Connelly takes Bosch next, on a personal level. I definitely have a soft spot for Harry. But do you know what I loved most about this book … I had absolutely no idea how it was going to end until it was right on top of me. And when I say “absolutely no idea,” I seriously mean that. I had no idea who the killer was in this book. I had no idea how things would end up. And that’s what makes a great mystery/thriller/suspense novel in my opinion. So overall, I really had a fun time with this book. It’s a good read, a good installment in a great series. 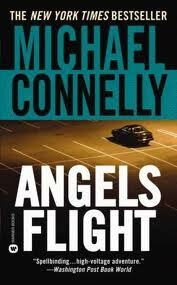 And I can’t wait to read more Harry Bosch in the near future!